No one likes seeing that check engine light appear on your Jeep's dashboard. It can be confusing and frustrating, and a bit scary too. But it doesn't have to be that way. 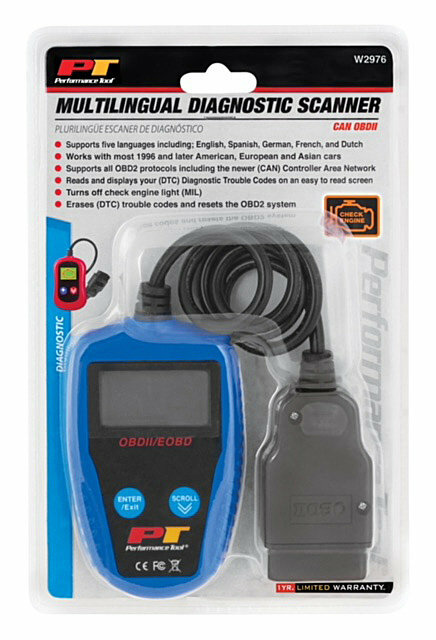 Take control of your Jeep's possible issues with Performance Tool's Multilingual OBDII Scanner Tool. This compact unit simply plugs into the vehicle’s OBDII port, and is capable of quickly reading and displaying your vehicle's Diagnostic Trouble Code (DTC). That way, there are no surprises when servicing the Jeep. Plus, this unit is capable of erasing any codes or turning off the check engine light at the push of a button. 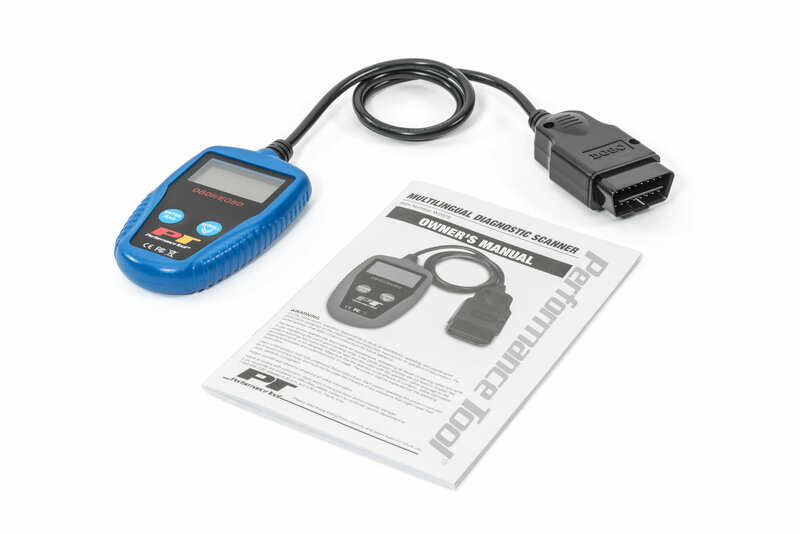 The Multilingual OBD2 Scanner Tool is simple to maintain and does not require batteries or recharging — the unit powers up as soon as it is plugged into the OBDII port. 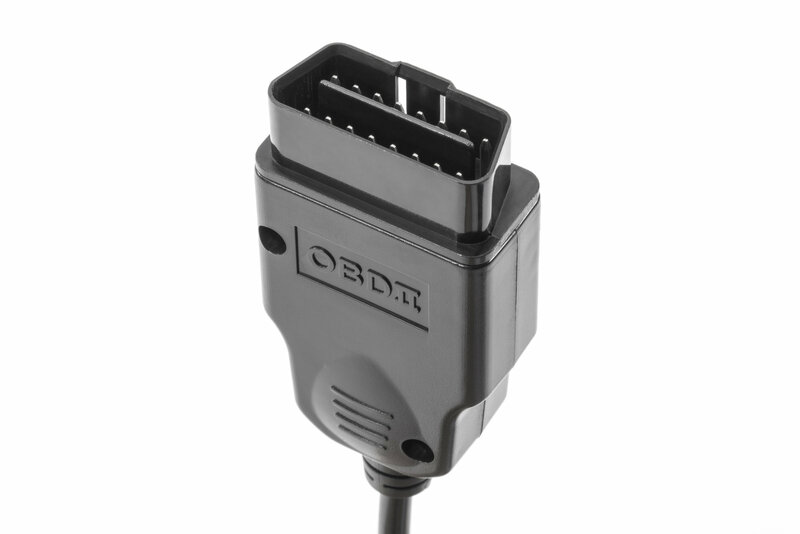 It also supports all OBD2 protocols, including the newest Controller Area Network (CAN). Up to five different languages can be displayed including; English, Spanish, German, French, and Dutch. This handy unit can be stored easily in the Jeep when not in use. Reads & Displays CEL Codes: Displays Check Engine Light Codes (CEL) on an easy to read hand held display. Erase codes and turn off the Check Engine Light. 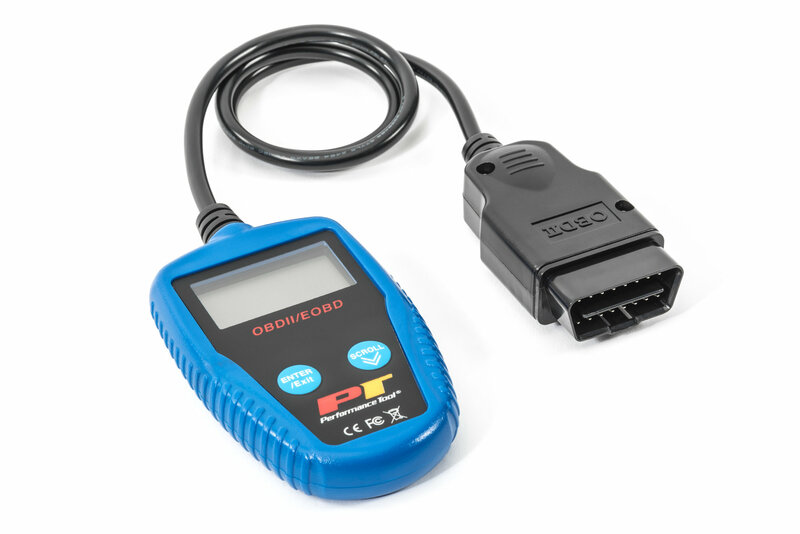 OBD2 Supported: This universal Scanner Tool will work with any vehicle 1996 to present that has an OBD2 port. Simple plug and play operation. Multiple Language Options: This unit has options for 5 languages that includes; English, German, French, Spanish and Dutch.